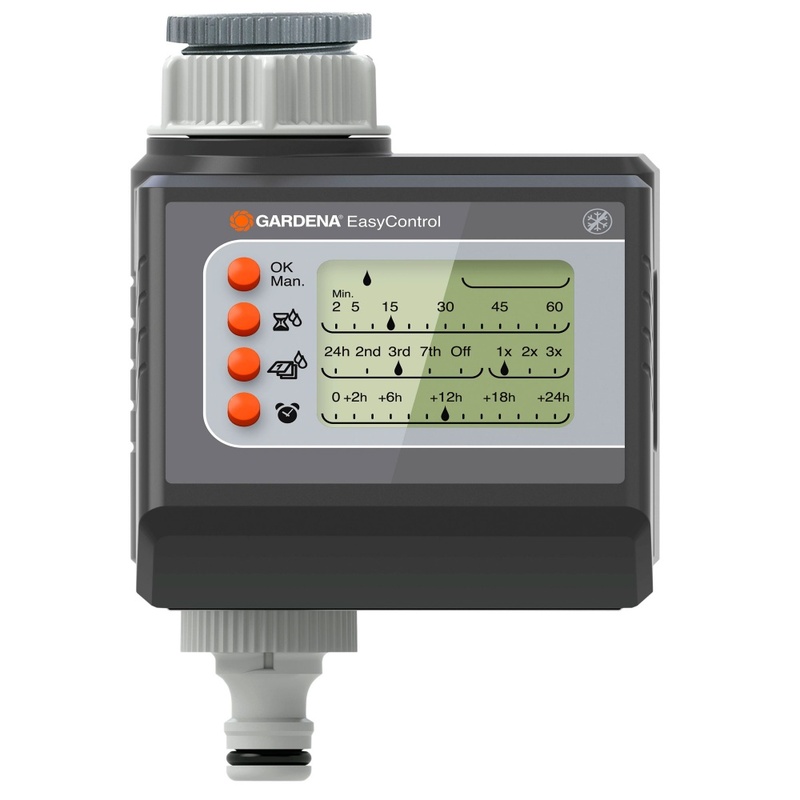 Gardena Easy Contol Water Timer (1882-28) provides automatic and time-saving irrigation with ease of use thrown in. With a Gardena Water Computer, your garden or plant collection can be reliably and conveniently watered, even when you are not home. You gain more free time and still enjoy a lush, green garden and beautiful, healthy plants. With automatic irrigation in the early morning hours, or evening, less water evaporates so plant and environment benefits. This saves money and allows targeted, optimal irrigation to be achieved. Water Timer allows programming for Day of Week, Time of Day, Length of Watering with a simple timer that does not require hours of setup. 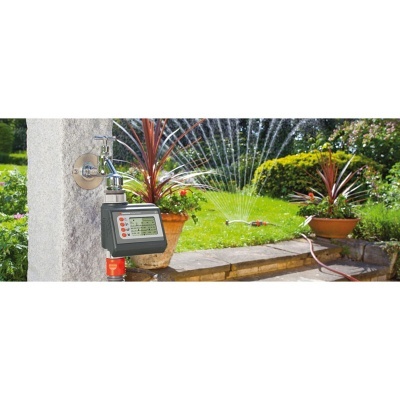 Easy Contol Water Timer connects directly to the tap and reliably controls irrigation according to the selected duration and frequency. This means that you don't have to worry about watering either in everyday life or during your holiday. Supplied with a convenient removable control panel to make adjustment of the settings easier. Adjustment is easy – and possible without any operating instructions. Four keys for four functions: watering duration, frequency, start time pre-selection and confirmation. The clear display on the Water Computer allows you to see at a glance which settings have been programmed in. Then simply plug in the control panel again. Once you have adjusted the settings, the computer will control the watering procedure precisely according to your wishes. And you can enjoy some leisure time! With a 9 V alkaline battery (not included in delivery), your Easy Control will function reliably for approximately one year. Even more reliable: a low battery level will be indicated to you. That way you know when the battery has to be replaced. 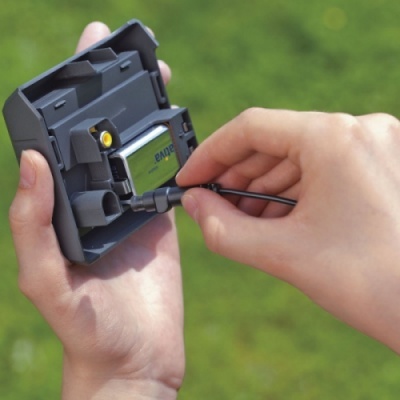 As a further option, a Rain Sensor or Soil Moisture Sensor can be connected to the Water Computer. This has one major advantage: when it rains, or if the soil is already moist enough, the set irrigation is cancelled, thus saving valuable water resources.